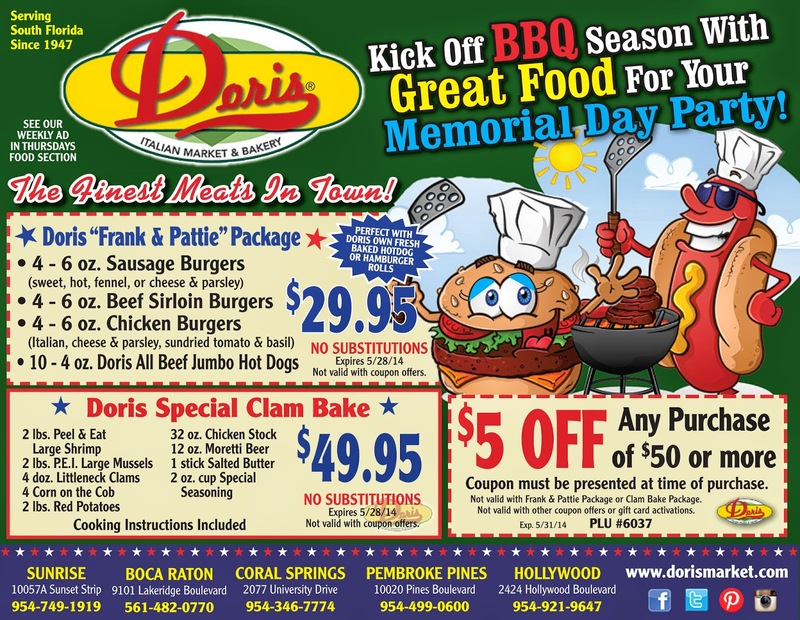 Let Doris take care of your Memorial Day Party food! Choose from 2 different packages! Visit our meat department today!